Dr. Ziglar earned her Bachelor of Science degree with honors from the State University of New York, Stony Brook where she majored in biochemistry and minored in philosophy. She was a scholar member of the Phi Beta Kappa honor society. She earned her medical degree at the State University of New York, Downstate and completed her internal medicine residency at North Shore University Hospital, New York. She completed her fellowship training for rheumatology at New York University’s Hospital for Joint Diseases. Following fellowship, Dr. Ziglar began private practice while she maintained teaching faculty appointments as Assistant Clinical Professor of Medicine at Montefiore Medical Center in New York and later at St. Joseph Regional Medical Center in New Jersey. 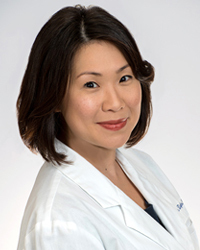 In 2015, she moved to the Washington, DC suburbs to join a large multi-specialty practice where she quickly gained recognition as a Washingtonian Top doctor in 2017 and 2018. Although Dr. Ziglar treats all types of rheumatic conditions, she has a special interest in osteoporosis, and has conducted lab research focused on promoting the development of bone and cartilage cells. Her research has been recognized in the form of awards and scholarships through the National Science Foundation, the National Institutes for Health, and the Howard Hughes Medical Institute. She has contributed to the Journal of Biological Chemistry and her research was presented in multiple national abstract meetings. She was also recognized in 2010 for her teaching of medical residents with the Fellow of the Year Award, bestowed by the NYU medicine residency program. Dr. Ziglar is board certified in internal medicine and rheumatology and is a fellow of the American College of Rheumatology. She lives with her husband, a financial advisor for governments, and two very active boys. Dr. Ziglar is accepting new patients at both our Rockville and Frederick office locations.